Hoses: Don’t leave them connected to a faucet! Freezing temps can burst the pipes as well as the hose. Take off the nozzle and drain the hose. Coil them flat or on a reel; make sure there are no kinks that may lead to a leak next time pressure is applied. Gasoline engines: Drain or run off all the fuel in the tank. Change the oil while it’s warm, right after you shut the engine off. Check the service manual to make sure it’s the correct type or weight of oil. If the engine has gotten hard to start change the plug or haul it in for a tune up. 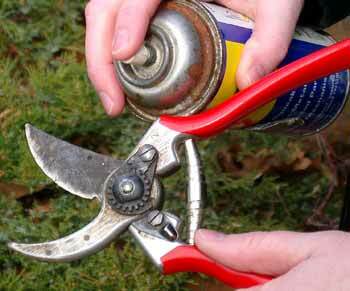 Electrically driven tools: Check cords for wear or cuts, particularly on hedge shears! Look the manual to see if there are other maintenance points. Lawn mower, tiller: Clean clippings from under the mower deck and tingled stems and roots from the tiller tines. Apply a rust preventative to surfaces where the paint has worn off, perhaps using the oil drained from the engine. 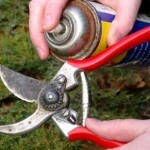 Cutting tools– pruners, clippers saws: Clean off hardened sap with mineral spirits or paint thinner. 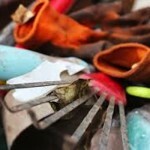 Remove rust with steel wool, then sharpen the blade or have it done professionally. 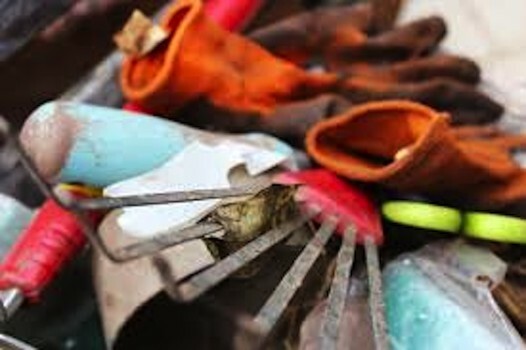 Digging tools – hoes, rakes shovels, spades, forks: remove mud and rust with a wire brush, touch up the edges with a file and then oil the blade. Wooden handles: run over the wood lightly with fine sandpaper of steel wool and then apply a conservative, like one part linseed oil to two part mineral spirits or paint thinner. Paint a brightly colored weather resistant, band around the handle so the tool is easier to find if it’s laid in the garden. Finally, as you complete each job put that tool back in its regular storage place and make a resolution to do likewise every time you use it next year.